We’ve been creating family portraits ever since we started shooting weddings together in 2004. We’re experienced at capturing all ages, from babies to toddlers to teens, and everything else in between! We believe pets are part of the family too, so dogs, cats and other furry friends are always welcome. 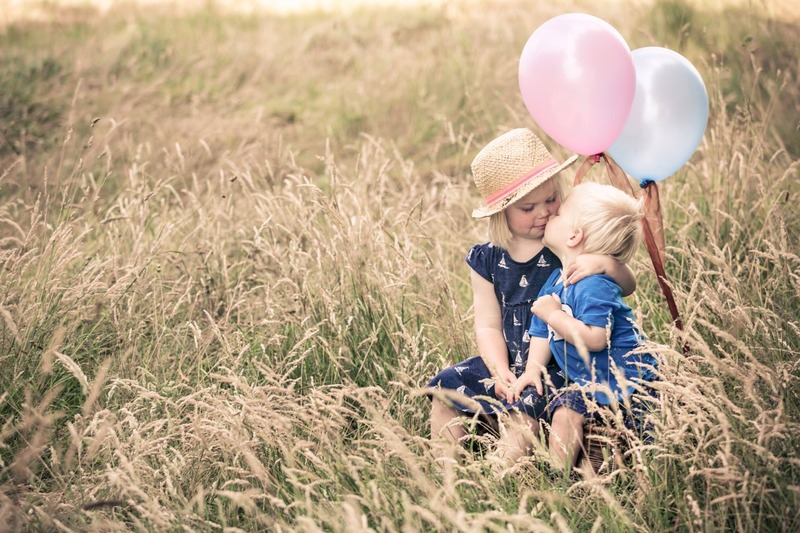 With a style that’s natural, relaxed, beautiful and fun, we create timeless images that effortlessly illustrate the loving bond between family members. Whether we’re shooting parents with their children, brothers and sisters or grandparents alongside younger generations, we know how to tell your story and create a set of photographs that become more and more precious over time. Tailoring each shoot to the individual family, we work hard to ensure the entire experience is an adventure in itself. We’ll organise a fabulous location and take care of all the little details, so you can focus on making memories. Our goal is to always keep things as fun and relaxed as possible for you and your children. Jo photographed Hettie when she was a baby and then again when she was a toddler. The photos are absolutely beautiful, we are so, so pleased with them. They are simply stunning – thank you so much! Jo and Nic photographed my wedding in 2006. Fast forward ten years and I now have a 5-year-old and a 3-year-old. I wanted some amazing photos of my precious kids at this age as they change so fast. It’s not an easy job photographing young kids who are camera shy, but Jo made it into a fun, enjoyable and energetic day. The photos are stunning and completely exceeded our expectations. I now have some beautiful images of Adam and Clara that our family will treasure for ever. Thank you so, so much! Price includes up to 40 miles of travel from BS3 1LG (additional mileage is charged @ 45p/mile) and a mounted 10×7 print of your choice (additional prints this size are priced at £45). After the shoot, you’ll have the opportunity to join us in Bristol for a fun, relaxed viewing of your photographs. Alternatively, if distance is an issue, we can share the images via our online gallery.